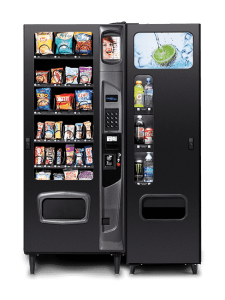 Dual zone (ambient/refrigerated) vending machine vends up to 40 selections of soda, water, juice, candy, snacks, milk, yoghurts, salads, and sandwiches. Ideal for limited space. 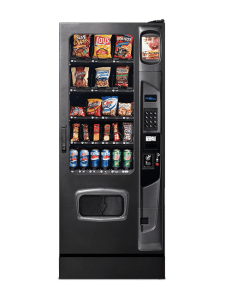 Dual zone (ambient/refrigerated) vending machine vends up to 25 selections of soda, water, juice, candy, snacks, milk, yoghurt, salads, and sandwiches. 12, 14, or 16 Selection Candy/Snack and 6 Bottles/Cans. 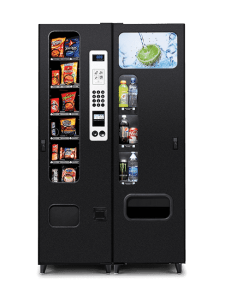 Small footprint for locations with limited space who wish to offer a variety of candy, snacks and soda, water, and juice in bottles or cans. 12 Snack, 12 candy and 6 Bottles/Cans. 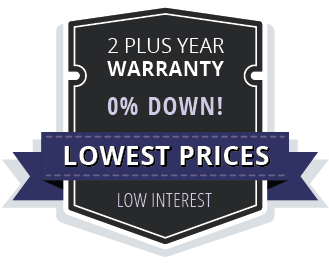 The USI Mercato WS3000 is an advanced machine with considerably better technology and higher capacity than the USI Mercato 2000. 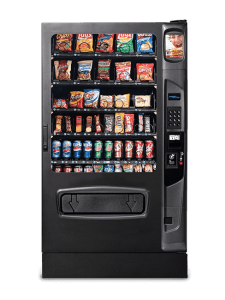 The USI WS3000 candy/snack also offers greater capacity and superior styling to the basic 23 selection of this machine sold by Selectivend in warehouse clubs.